The Republican leader filed cloture on President Trump’s pick Tuesday evening, setting up an initial vote for Thursday. This is the man who engaged in total obstruction against President Obama, abusing the Senate filibuster rules. 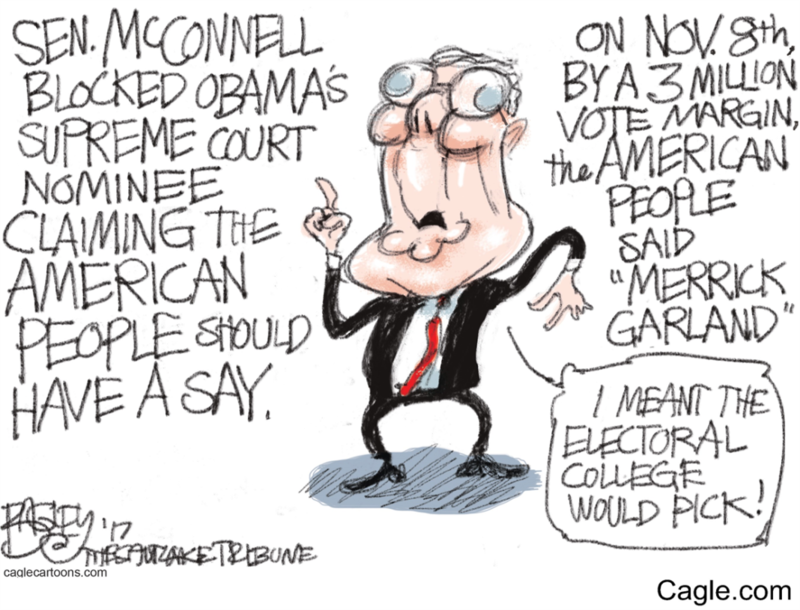 McConnell unleashed nearly 500 filibusters and spent years preventing Republicans from working with Democrats, regardless of the substance of a given issue, in pursuit of his goal of denying President Obama a second term. When four seats opened up on the D.C. Circuit Court of Appeals, McConnell said that the court was too large and the seats should not be filled. 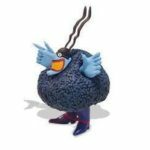 He convinced his GOP caucus to filibuster any and all nominees to serve on the nation’s second most important court, in perpetuity and without any regard for the qualifications of individual candidates. He did the same with other vacancies in the federal courts, creating a judicial crisis in backlogged cases. 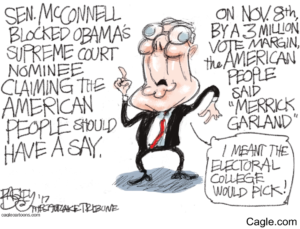 Within hours after Justice Antonin Scalia died, McConnell announced that no nominee from President Obama would receive consideration in the Senate, let alone a confirmation hearing and vote. Mitch McConnell is the villain here. Gorsuch is expected to fall short of the 60 votes needed to overcome Thursday’s procedural hurdle. Only four Democrats have said they will support Gorsuch on the initial step, but he needs eight total to get 60 votes. Top Democrats signaled on Tuesday that Republicans, not their own caucus, need to back down and put forward another Supreme Court nominee who can garner more support from Democrats. Republicans appear resigned to needing to go “nuclear” to allow Gorsuch and future nominees to get approved to the Supreme Court by a simple majority. Sen. John McCain (R-Ariz.) warned that it’s a “slippery slope” to nixing the filibuster altogether. Arizona Sen. John McCain has harsh words for his Republican colleagues who want to invoke the “nuclear option” to confirm President Donald Trump’s Supreme Court nominee Neil Gorsuch. “After 200 years — at least 100 years — of this tradition where the Senate has functioned pretty well, they think it would be a good idea to blow it up,” McCain told reporters Tuesday in remarks reported by NBC News. “Idiot — no, whoever said that is a stupid idiot,” McCain added. Well, Johnny, if the filibuster is so damn sacred to you, how do you intend to vote on changing the Senate filibuster rules? Are you going to oppose that “stupid idiot” Mitch McConnell who thinks it’s a good idea? And are you going to convince your GOP colleagues not to vote in favor of blowing up the Senate filibuster rules? Or will you do what you always do, call everyone a “stupid idiot” for doing something that you don’t agree with but nevertheless go along and vote in lockstep with your GOP caucus out of party loyalty? UPDATE: Called it. McCain Says GOP Will Regret ‘Nuclear Option,’ Backs It Anyway. 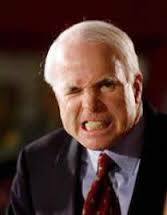 McCain gave a Senate floor speech today in which he said “We are in a terrible place. My colleagues should understand that this is a historic moment if we move forward with it,” McCain said before announcing his intentions to help them move forward. I guess that makes him a “stupid idiot” by McCain’s own standard. If I am not mistaken, Reid changed the rule in November of 2013. I do not support the filibuster rule, I never have. But the Senate filibuster rule does exist and was massively used and abused by Mitch McConnell while minority leader. When Harry Reid removed the 60 vote threshold for federal judges in 2013, Mitch McConnell insisted that it remain in place for cabinet officials and supreme court nominees. Now that McConnell cannot muster 60 votes for Judge Gorsuch, he wants to do away with the filibuster rule that he insisted on in 2013. You don’t get to change the rules in the middle of the game — the rules are adopted in January when the new Congress is seated. It is Mitch McConnell who is being hypocritical.